Back in December last year Sara and I travelled to India for our friend's wedding. I have always dreamed about travelling to India. The lush green landscapes, rice fields, traditional architecture, the colours, elephants and spice markets … A blogger’s dream. We were there for only 9 days (you really need a month) beginning in New Delhi, taking a day trip to Agra then heading down to Goa for the wedding. 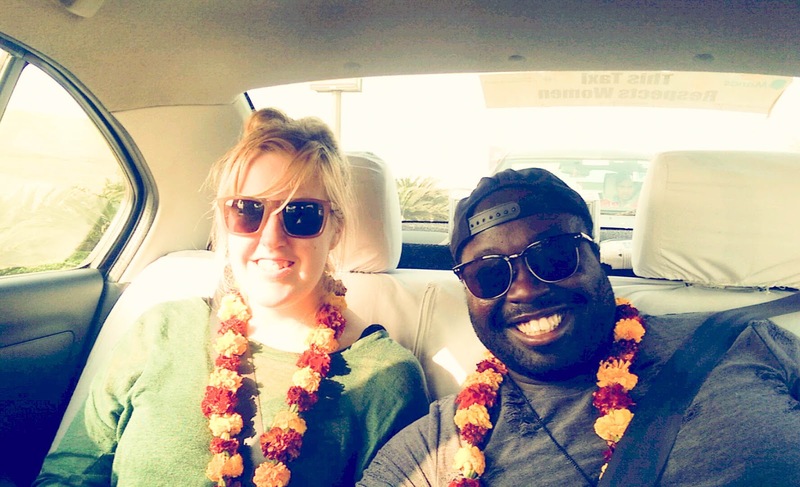 We arrived at New Delhi International Airport around midday feeling a bit jetlagged and we were both given flower garlands and cool hand cloth by the driver at the airport. Quick Tip - Get a driver to pick up from the airport when you first arrive at New Delhi Airport if not your could end up for waiting an hour or more for a taxi or train. The cab journey took no more than 30 mins from the airport and once we arrive at our hotel - The Claridges Hotel we fell asleep until evening. 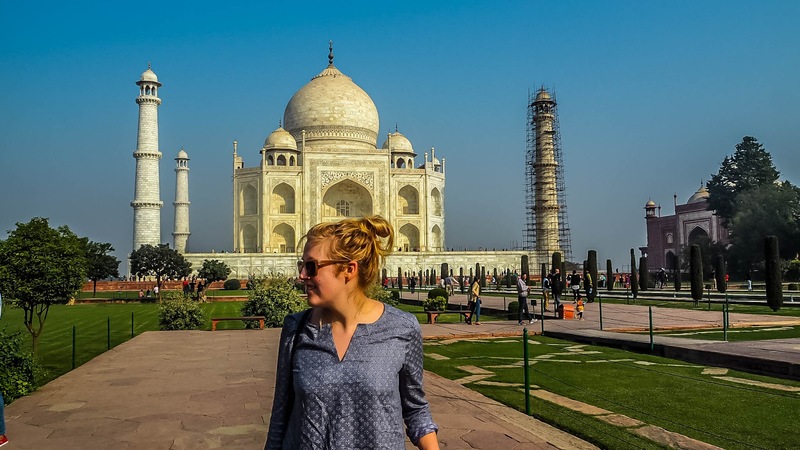 The next morning we woke up early for 3-hour journey guided tour to Agra to visit the Taj Mahal, the Tomb of Itmad-ud-Daulah (Baby Taj) and the Agra Fort, one of the most iconic buildings in India and the world and a place both Sara and I had always wanted to visit. 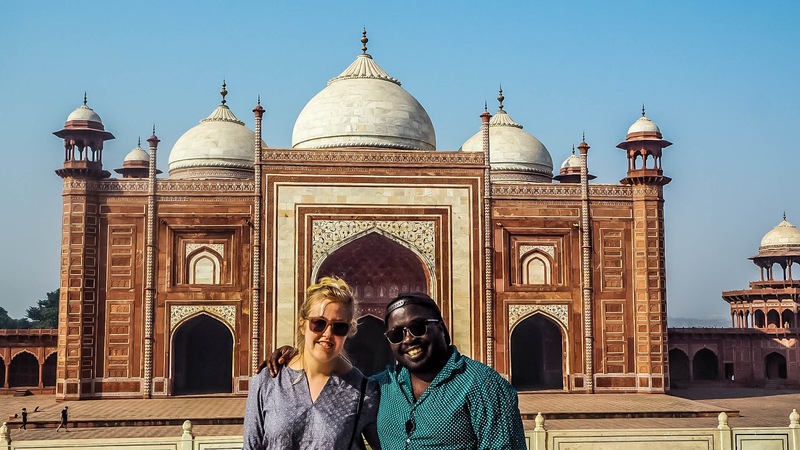 The tour we chose was led by a local tour guide that gave us a great insight about Taj Mahal and how it incorporated and expanded on design traditions of Persian and earlier Mughal architecture and the history behind the symbolic landmark. 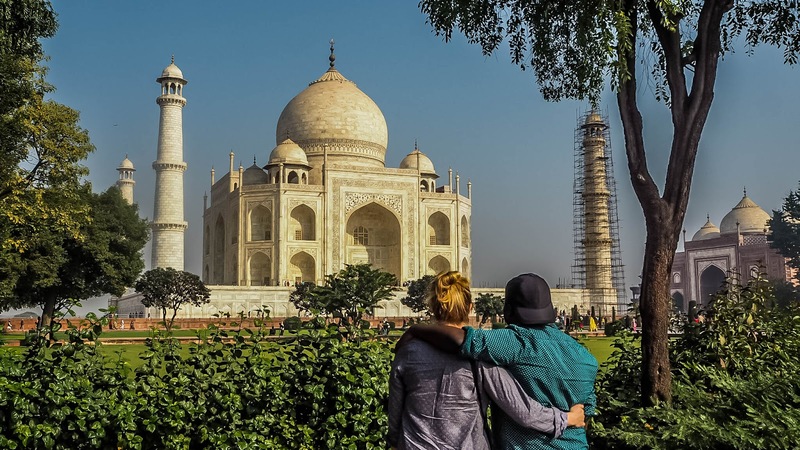 It was easy to see why the Taj Mahal is perhaps one of the most photographed monuments in the world. When you will see magical reflections of the colourful sunrise and white marble building in the water. After the Agra Fort and Baby Taj and had a nice lunch. But these two places could not compete once you have seen the Taj Mahal. 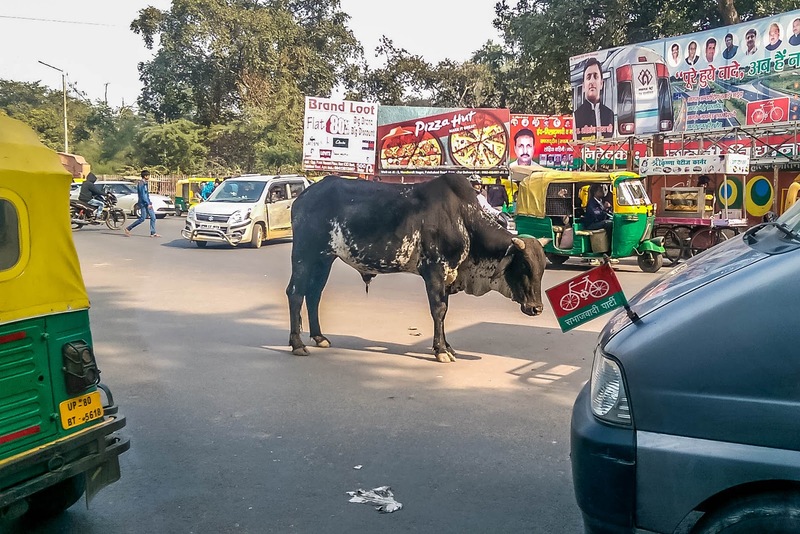 At the end of your private tour, we sit back and had the relaxing drive back to Delhi. 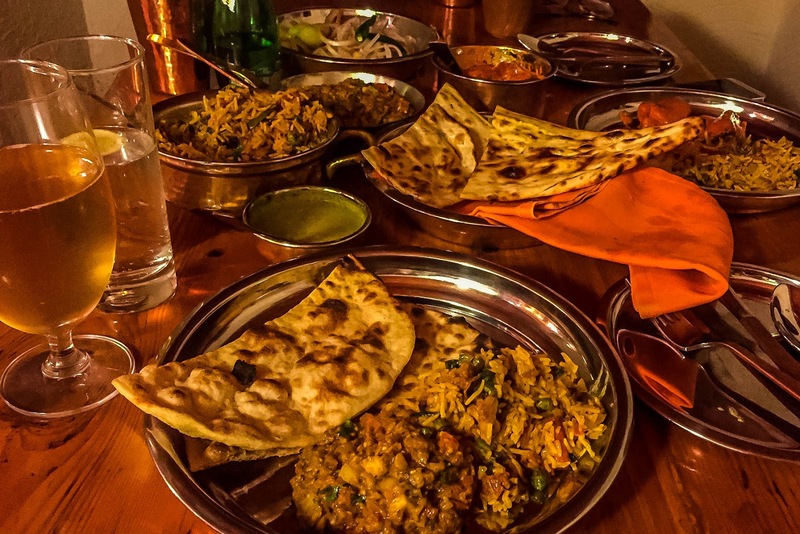 Have you ever been to New Delhi? What was the favourite place you visited in India? I hope you liked photos from Part 1 of my trip to India Part 2 coming soon! I’m Stephen. I’m a lover of travel, technology, people, good food and good tea! I have never been to India, but I'd love to! 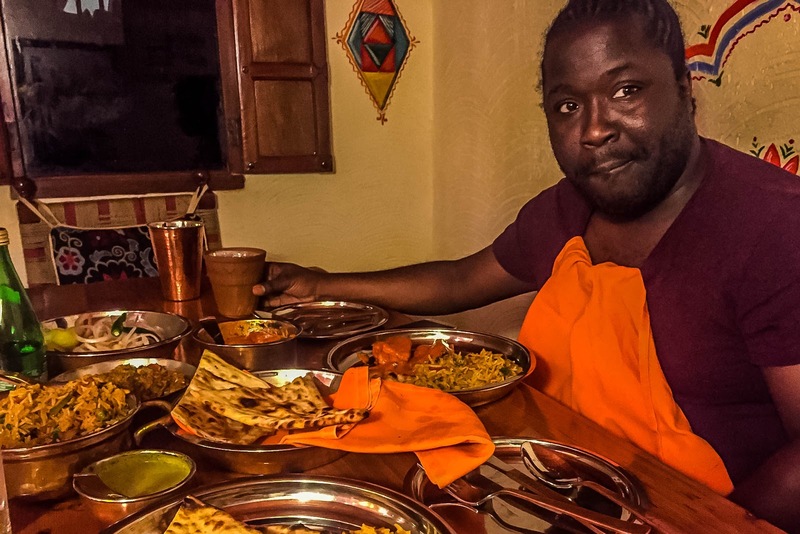 Your pictures have done it great justice, it looks so vibrant!The Taj Mahal but be quite the sight, though at ther minute I'm mainly thinking about all that food! © STEELEWORLD 2017 . All Rights Reserved.